This past year we have seen an unfortunate history in the making: record amounts of people are being forced to leave their homes due to conflict and displacement. It also comes at a time of growing populism and national xenophobia and its direct influence on securitization and border control, including enforcement regimes, immigration detention and restricting access to territory. In the face of these challenges, the IDC and its now more than 380 members from 84 countries have worked tirelessly over this past year to highlight that detention is not the answer, not now or ever. Around the world today, we continue to see unprecedented numbers of men, women and children being forcibly displaced, destitute and detained. More than 65 million people have been forcibly displaced, and more than half of those are children. It is a time when solutions are urgently needed. Yet despite this humanitarian crisis, we have seen countries reacting with fear rather than leadership, criminalizing migration and detaining countless vulnerable people. 2015 saw more than 60 million people displaced worldwide: a number so large in size, it is hard to comprehend. The sheer number of men, women and children who are displaced, destitute and detained is staggering and devastating. Media attention has focused on those making the perilous journey to northern countries, while stories go largely untold of the vast majority never able to flee or those trapped in transit with few or no protections. Worldwide we continued to see a shrinking protection space and an expansion of human rights violations with harsh policies of deterrence and detention, including against some especially vulnerable populations, such as unaccompanied children. Change requires leadership and vision, and we are fortunate to report that the International Detention Coalition’s (IDC) members and leadership continue to be a driving force behind the growing movement to protect and uphold the human rights of people affected by immigration detention. Worldwide, momentum is growing among states to reconsider the use of immigration detention and other restrictive border control measures, in place of more humane alternatives with the IDC team and our members driving this change. UN, intergovernmental and regional bodies are increasingly speaking out against immigration detention, particularly for children and families, and increasing numbers of countries are introducing alternatives to immigration detention (ATD) in law and practice. 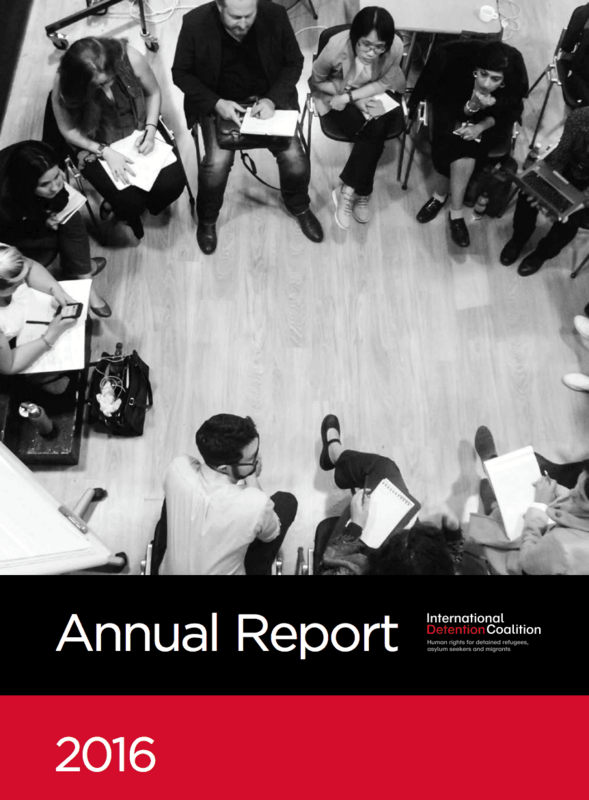 2013 saw the International Detention Coalition (IDC) celebrate its 10th anniversary as a global network and movement for change. What started initially as an idea in 2003 for a workshop in Geneva to address the growing and damaging use of immigration detention around the world in the wake of September 11, soon lead to the formation of an international coalition. This Coalition continues to this day, with the IDC remaining the only international organization focusing solely on immigration detention. A lot has happened over the past decade. We have seen the massive increase in the use, building and legislating on immigration detention globally, including privatization, criminalization and extra-territorialisation of detention as a first resort over the last year. The impact of this on children, the elderly, disabled and other vulnerable groups has alarmed our members, with detention often in poor conditions, prolonged and often with little or no access to asylum procedures or judicial review of their detention. On the other hand however, we have seen an increased move away from detention as a first resort, with a number of states reviewing their detention policies, avoiding the detention of vulnerable groups and introducing alternatives to immigration detention. The past year has been busy and productive for the IDC. The Secretariat has grown to five staff, membership has grown to over 250, partnerships and funding have increased and the work of the Coalition has further expanded in all regions. The guidance of our governance structure, both the Governance Committee and Advisory Committee, and support from our members, have been crucial. This expansion and consolidation could not be timelier. The use of immigration detention continues to increase internationally, with devastating impact on the rights, dignity and wellbeing of refugees, asylum seekers and migrants. The increased regionalization of detention, with governments expanding and exporting their detention models across borders, highlights the growing need for targeted international advocacy work and the strengthening of regional civil society networks. 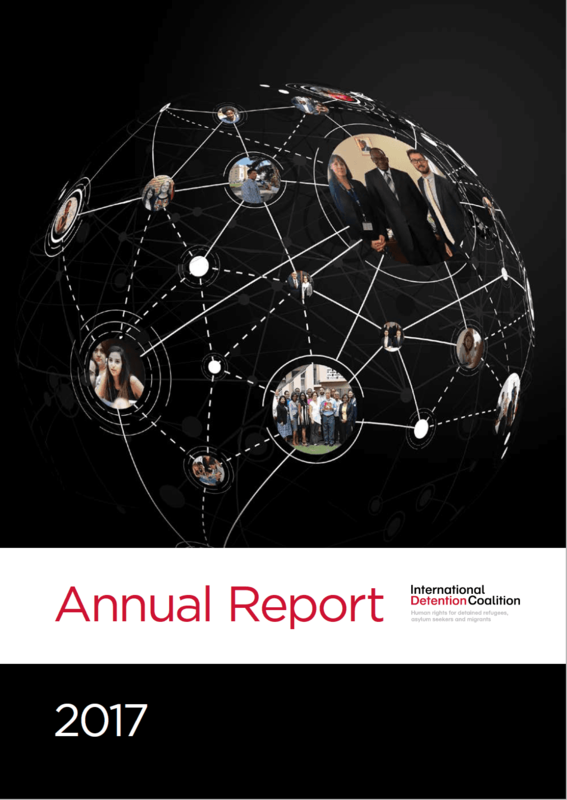 It was almost 10 years ago that a vision of an international network of NGOs, academics and individuals coming together to improve the rights of detained refugees, asylum seekers and migrants arose. The use of detention by governments to manage migration was increasing. Cases of children imprisoned, abused and neglected in places of detention in the name of government policy were being exposed. Although there was work being done on the ground around the world, no one was focusing on these issues at the regional and international levels.